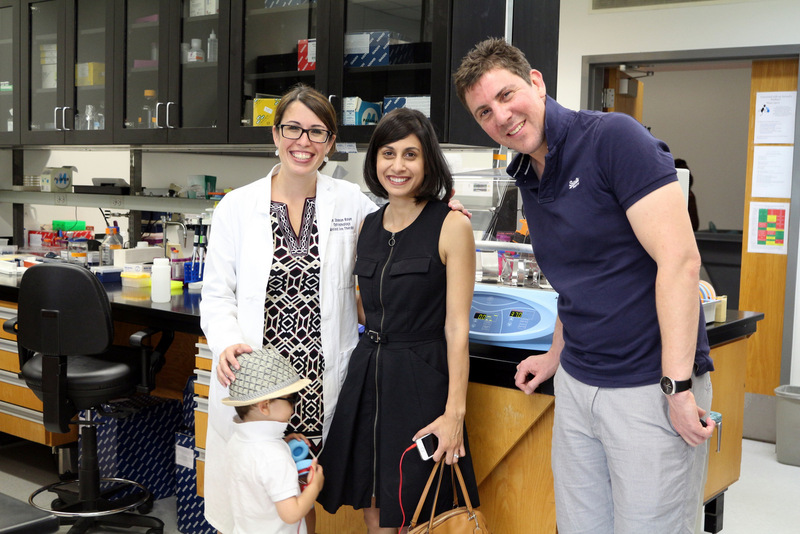 We were so happy to host Janice, Hugh, and Robert in our lab this month. They came all the way from Australia to learn more about our work on GUCY2D-LCA1. Despite their intense jet lag, mom and dad soaked up our description of phototransduction and Robert got to enjoy the ‘spinny chair’. Interactions like these remind us of our real goal. Thank you for visiting!